The sixth planetary session of Intergovernmental Platform on Biodiversity and Ecosystem Services (IPBES) saw four more countries join the coalition to protect pollinators. 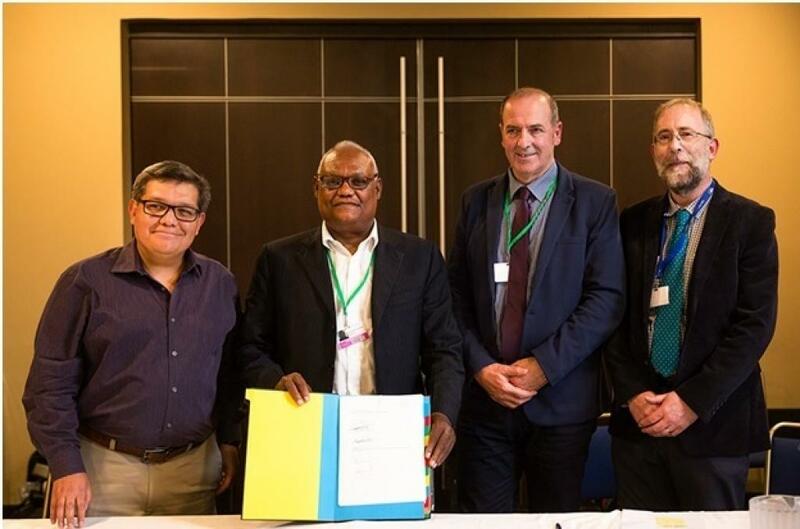 Bosnia and Herzegovina, Dominican Republic, Ireland and Mexico signed the ‘Coalition of the Willing on Pollinators’ in Medellin, Colombia on Wednesday (March 21). The IPBES assessment report on ‘Pollinators, Pollination and Food Production’ says global agriculture’s reliance on pollinator-dependent crops has increased in volume by more than 300 per cent over the last five decades. This agreement is a stepping stone to protect pollinators since 16.5 per cent of vertebrate pollinators are threatened with global extinction, say the International Union for Conservation of Nature (IUCN) Red List assessments. The assessment highlights that 75 per cent of food crops in the world and nearly 90 per cent of wild flowering plants depend, at least to some extent, on animal pollination. Pollinator-dependent species include several fruits, vegetables, seeds, nuts and oil crops, which are major sources of micronutrients, vitamins and minerals to humans. The initiative to form a coalition was taken by the Netherlands on December 12, 2016 at the Conference of the Parties–Convention of Biological Diversity held in Mexico. The countries that joined the coalition then are Austria, Belgium, Denmark, Finland, Germany, Luxembourg, Peru, Slovenia, Spain, the Netherlands, United Kingdom and Uruguay. Use of pesticides and insecticides is the major reason behind reduction of pollinators. Number of wild bees and butterflies has also decreased at local and regional scales in North-West Europe and North America. READ: Why do conservationists hide when the bees dwindle?